Hello and welcome to the countdown for the October My Favorite Things card kit, Cooler with You! This month's kit is a really fun winter themed kit that includes a fun die set to make your cards interactive! 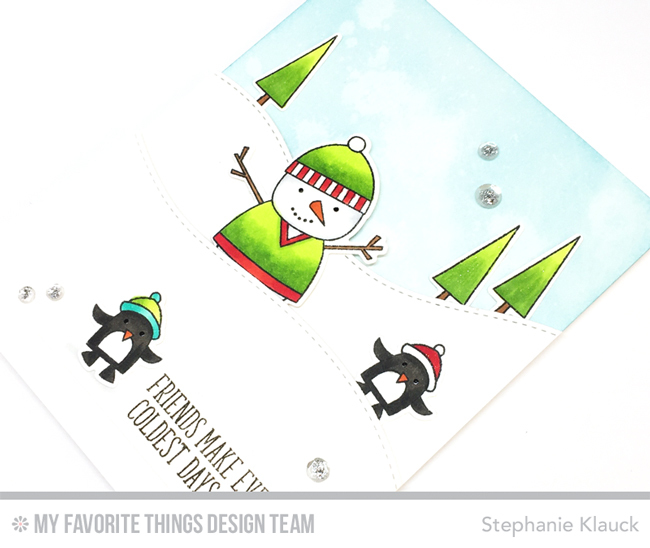 I used the Cooler with You stamp set that comes in the kit along with the Hit the Slopes Die-namics to create a card where the snowman moves along the snow hill. I stamped, coloured and diecut all of my images and then I created the fun scene to add them to. I knew I wanted to create a slider channel on the card for the snowman to move, but I didn't want to actually see it on the card, so I hid it behind the front snow hill. You can see how I created this card over on the MFT YouTube channel for this week's episode of MFTv. 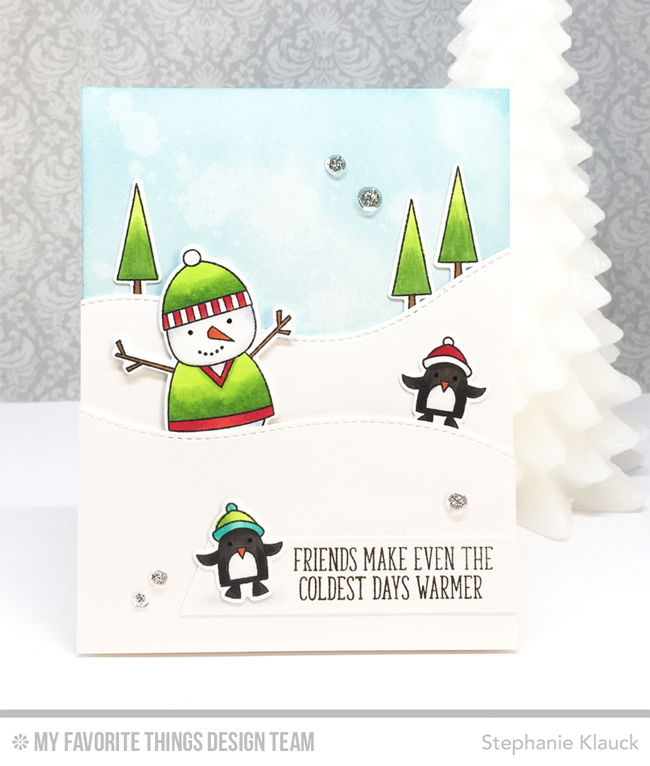 And don't forget to visit the MFT Stamps blog to see more inspiration using this months kit from the design team. It's a really fun kit and I love the adorable images and the winter theme! Super cute, as always!! Thanks for sharing your inspiration and process videos!! Stephanie, Great card and great videos! You are always such an inspiration! Love the wobbly snowman! Wow your card looks so amazing.♥ Many thanks for your inspiration. These images on this card make up the perfect scene. Love it! Your card is soooo cute and I love the hidden slider! Thanks for the video! This card is so cute and love the colors and scene created. 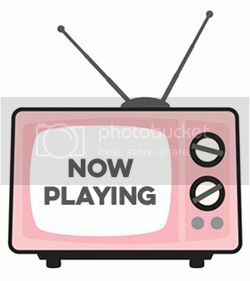 I love the images used.